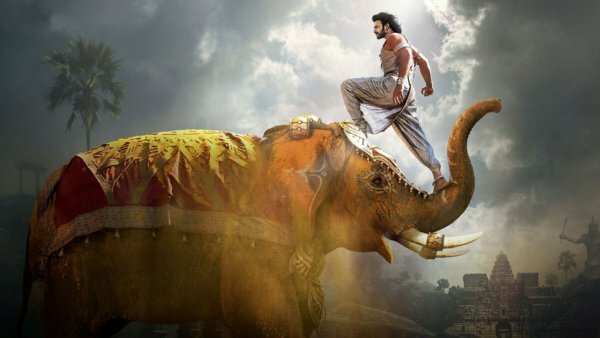 Baahubali 2 8th Day Collection 8 Days Bahubali 2: The Conclusion 2nd Friday Box Office Collections Report: SS Rajamouli‘s magnum opus movie has already become the Indian highest grosser in just a week surpassing all the records of all time. It is still minting moolah on a large scale. This week, it will face competition only from Guardians of the Galaxy V2, the Hollywood film. Other than GotG V2, there were no other big releases even in the Bollywood. It means that Baahubali 2 will still be minting money at a steady pace in India, at least. Let’s check out how much Bahubali 2 has earned on its eighth day. The movie witnessed an outstanding opening on its second Friday. It recorded an average occupancy of 40% for its morning shows. Due to high demands, the flick witnessed an increase in the number of shows at some places due to its popularity and high demands. It may be a rumor but some reports said that there are chances of hiking the ticket prices here and there. On the last day of its first week, i.e., Thursday, the average morning occupancy was 45% with the higher number of screens. it means that Bahubali 2 box office collection will be near to its yesterday’s figures. Later on, the occupancy increased in the noon shows and reached around 50%. The only big Hollywood release Guardian of the Galaxy Volume 2 opened in the range of 15% in the morning. it can be considered as a decent opening due to Baahubali 2: The Conclusion storm is currently faring high in India. However, it can do a good business n the long run. If all goes well, then Baahubali 2 will record the highest 2nd Friday collections of all time. As of now, Aamir Khan‘s Dangal holds the record. As the second weekend is approaching, it can be expected that it will perform far better on coming Saturday and Sunday. It may be entirely possible that it will record the highest 2nd weekend collection of all time. The early trends are suggesting that it will touch the mark of Rs. 20 crores as the Bahubali 2 8th day collection. It has the strength to become the first ever Indian film to earn 20 cr or more consecutively for 8 days. Till date / now, Baahubali 2 has collected more than 247 crores in the first week from its Hindi version only. It has become the highest record now. While the all India collection figure has reached to a massive 584 crores. What do you think of the Baahubali 2 2nd Friday collection? Feel free to share your thoughts with us. Stay tuned to The Reporter Times for latest box office news and entertainment updates around the world.